Burlington officials publicly revealed details Wednesday about three bidders for Burlington Telecom, a sale process that previously had been shrouded in secrecy. Schurz Communications, a telecom company based in Indiana, put forward the highest bid, a cash offer of $30.8 million. The Toronto-based Ting, which is owned by Tucows, offered $27.5 million in cash. The locally based co-op, Keep BT Local, put forward a bid of $12 million, including $10.5 million in cash; the city would retain a $1.5 million interest in the utility. The announcement came Wednesday at a press conference where the city released a thick packet of information about the bidders and their offers. The information was also made publicly available on the city website. Not everyone, however, is happy with the process. 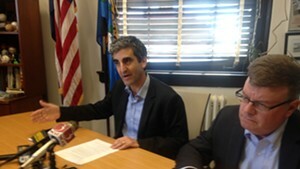 A promised fourth bidder withdrew its offer at the behest of the Mayor Miro Weinberger — without input from the city council, according to Councilor Max Tracy (P-Ward 2). 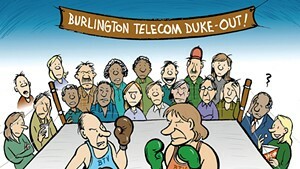 Burlington Telecom Advisory Board chair David Provost indicated in August that the fourth bidder was a private equity investor "with valuable local relationships and extensive telecom experience." The mayor's office notified the council that the final bidder was no longer interested just hours before a city council meeting Monday, during which the council discussed the bids in executive session, Tracy said. He called it a "dog and pony show public process" that "seems to indicate [the administration] already have a favorite in the process." Kurt Wright (R-Ward 4) said that the council had expressed "significant interest" in the fourth bidder. He called the mayor's communication to that bidder a "serious breach of trust" between the administration and the council. After the press conference Wednesday, Council President Jane Knodell told Seven Days that she agreed that the councilor's trust had been violated. "The council was not involved in certain decisions that I believe we should have been involved in," she said. Weinberger called a second, spur-of-the moment press conference Wednesday afternoon and denied any wrongdoing. He said the time crunch surrounding the decision-making had not allowed for as much notice to the council as he might have liked. Weinberger said he had "concerns" about the fourth bidder, and maintained that he had shared those concerns with the council before notifying the bidder. He refused to disclose his concerns, or the reasons why the bidder dropped out, citing the nondisclosure agreement the city had signed with the bidder (who has also not been publicly identified). More information would be disclosed next Monday, Weinberger said — after another council executive session. Weinberger said he did not explicitly ask the fourth finalist to bow out. "The bidder made an independent decision," he said. The mayor's office first notified the council of the bidder's decision three hours before Monday's city council meeting, according to an email obtained by Seven Days. 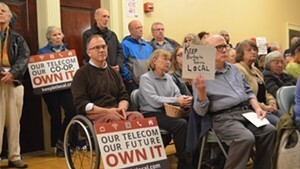 In the message, Weinberger asserted that Terry Dorman, the founder of the company that runs Burlington Telecom, asked that the fourth bidder drop out. "You will see that, in the wake of the legal, regulatory and conflict of interest concerns that have arisen, Terry has requested that [the bidder] withdraw its proposal," Weinberger wrote in the message sent at 3:06 p.m. Monday. "I support Terry's decision and expect there will be further conversation about it in our session this evening." 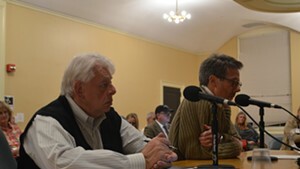 Two councilors, Richard Deane (D-East District) and Chip Mason (D-Ward 5) defended the mayor Wednesday. 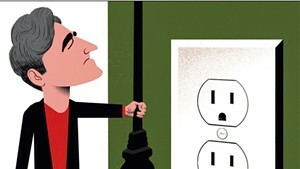 "These were complex negotiations," Deane said. "The mayor did his best to inform the council." 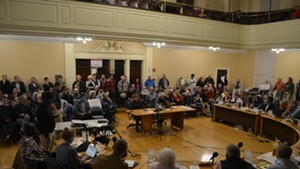 The bids were made public after councilors pushed for more public engagement in the decision, a change to the process that was announced last week. The bidders are varied. Tucows is a publicly traded company with five locations around the U.S. and $280 million in yearly revenue. The company agreed to annual contributions to BTV Ignite and other community projects. Broadband prices would not increase for 30 months under Tucows ownership, the company said. Schurz is a family-owned multimedia company that owns 10 daily newspapers and cable TV networks, as well as internet technologies. At more than $30 million, the company had the highest cash offer. Schurz vowed no price increases to subscribers for five years. 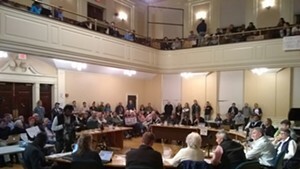 Both the Tucows-owned Ting and Schurz agreed to a full build-out in Burlington, with the exception of 120 homes that have been deemed very expensive and difficult to reach, said city attorney Eileen Blackwood. Both companies agreed to consider expanding to other communities and to offer the city a flexible 20 percent stake in the telecom. 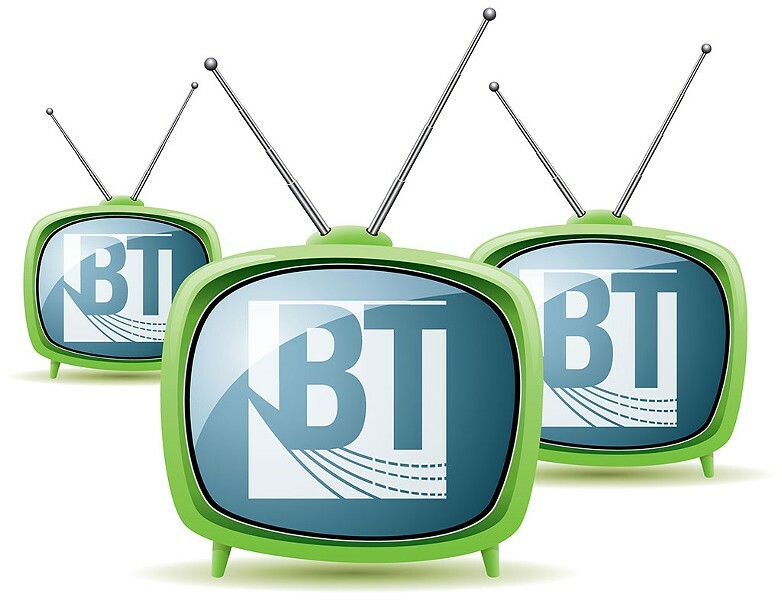 Keep BT Local is buoyed by a $10 million loan it'll pay back at 14 percent interest over 10 years. The co-op said it would continue to manage BT as it is currently run and it would make all subscribers member-owners of the cooperative at no further cost. 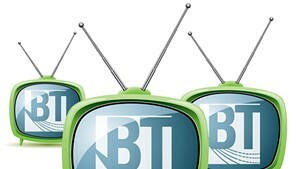 KBTL offered the city a set 12.5 percent ownership stake. 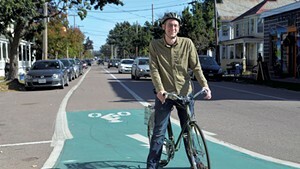 The city is accepting public feedback by email at btfeedback@burlingtonvt.gov. The council will narrow the field down to two finalists on October 2 and pick a buyer on October 16. All three companies have committed to net neutrality and agreed to future sales restrictions in an effort to prevent a local monopoly.